Pennsylvania’s medical marijuana program provides access to medical marijuana for patients with specific medical conditions. This guide walks you through the process of getting medical marijuana. 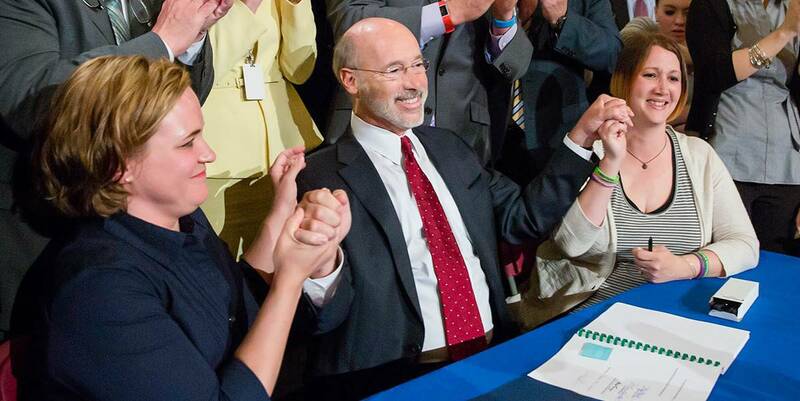 Governor Wolf legalized medical marijuana in Pennsylvania on April 6, 2016, and on February 15, 2018 medical marijuana became available for patients at dispensaries across the commonwealth — providing long-overdue medical relief to patients with serious medical conditions. Physicians who recommend medical marijuana in Pennsylvania are required to register with the Department of Health. If your current physician is not registered with the Department of Health, you can find an approved physician here . Once you have been certified by an approved physician, the next step is to return to the Medical Marijuana Registry and pay for your medical marijuana ID card. You’ll receive an email with directions on how to pay 30 days before your annual payment is due. This email includes a due date that is usually about a week before the expiration date on the ID card. If the payment is not received by that date, the ID card will automatically be deactivated. When you long in and pay the annual payment, the card is immediately reactivated. You’ll receive an email 60 days before your patient certification and ID card expire. This means it’s time to renew. Log in to your patient account as a returning user. After renewing online, you’ll get a verification email with next steps. Get a patient certification from any registered practitioner. You do not need to see the same doctor who issued your initial patient certification. Once you’re certified by a doctor, a new card will be printed and mailed to you at the address you listed in the patient portal. The new card will have an issue date for the day after your original card expires. After receiving your ID card, you may purchase medical marijuana from a dispensary. View a list of medical marijuana dispensaries in Pennsylvania (PDF).